TB, 32″ (81 cm), Midseason bloom. Yellow ochre (Wilson 07/1) self. 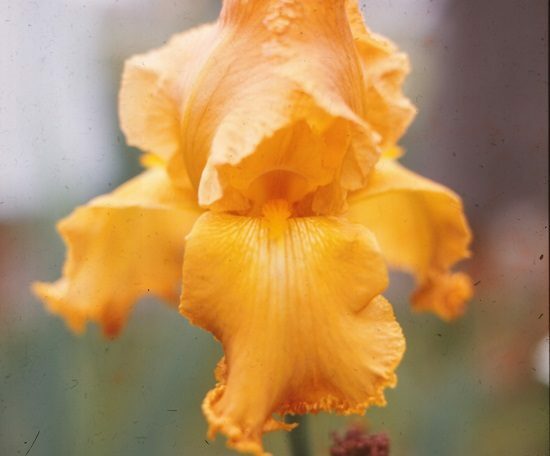 ‘Rainbow Gold’ X Schroeder 60-64-21. Blodgett 1968. High Commendation 1967; Honorable Mention 1969.